সিরিয়া নিয়েই কি হবে তৃতীয় বিশ্বযুদ্ধ! Again i repeat this is good to start 3rd world war. Because we are fade up to see our innocent Muslims are killing by west imposing lame excuse like as IS. But UN will never go back and never inquiry who is actually responsible this war. They start so called Arab spring and spread out one by one and Israil willingly attack Syria and other , but UN is watch dog and last they hv hold in Syria. 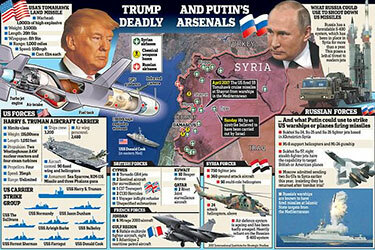 So i am eagerly waiting for a comprehensive war among all west in the Syria!!!!!!!!!!! !